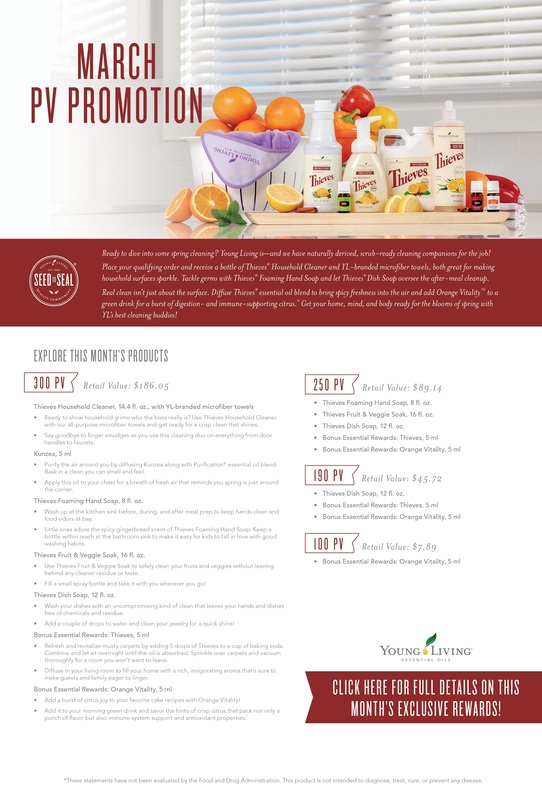 March Young Living Thieves Promotions, WOW! Last year was the Foundation’s most successful year yet! Thanks to your overwhelming support, we’ve been able to empower more lives than ever before. Join us as we recap the successes that last year held. In October students attending Hope for Justice’s Shine School in Cambodia took sledgehammers to concrete, marking the beginning of the school’s expansion. Read on to learn more about the development! In December a group of Young Living members joined the Foundation on a service trip to Ecuador. The hard work of building homes for three deserving families was a rewarding experience for all involved. The final quarter of the year left many families displaced after natural disasters ravaged the United States. Learn more about how the Foundation supports those in need in the aftermath of disaster and how you can help too! Celebrating 10 years of empowerment The year 2019 marks the 10th anniversary of The D. Gary Young, Young Living Foundation. As we look back on the successes of the past decade, we look forward to another great year of empowering others! Immerse yourself in business & product training Beauty School is ready and rarin’ to go to Houston! In true Texan style, this Beauty School will be bigger and better than ever with double the star power, featuring presentations from admired YL executives and leadership, as well as What Not to Wear beauty expert Carmindy and fitness pioneer Kathy Smith. Houston is home to world-class arts, chic boutiques, and award-winning cuisine—and from May 17-18, it will also be home to Young Living’s Beauty School. YL’s Beauty School offers intensive instruction on our personal care products and Savvy Minerals® makeup line. You’ll spend your weekend immersed in advanced business and product training—a must for building a successful beauty essentials business. Join us at the Hyatt Regency Houston this May as we dive in to education and in-depth, hands-on experiences. Registration is now open. Beauty School sells out quickly—secure your spot soon! Start time: 9:30 a.m. Early check-in: May 16, 4-8 p.m.
Today is the day! Our Young Living Facebook Live event starts at 9 a.m., MT. Make sure to join us! Be there today on our Training and Education Facebook page for our Facebook Live event. We’ll share the latest YL news and announcements and offer exclusive training from YL leaders. This Facebook Live event is a great way for you to re-energize and refocus your efforts. Get YL updates, giveaways, and recognition from Young Living’s corporate leadership. Learn about resetting your business with Chief Sales Officer Ben Riley. Who: All markets are welcome to attend, but topics may apply only to U.S. members. Set your reminder for 9 a.m., MT, today—our YL live videos won’t make your bed, but they will make your day! MONDAY NIGHT WEBINAR Business Not Growing Fast Enough? Do you wonder if your business isn’t growing as fast as you like because your prospects are all full of excuse or if it could be YOU? Sometimes you get rolling and make monthly sponsoring goals and every thing you touch seems to turn to gold. Other months you cannot get anyone to call you back or show up to presentation. Yep, prospects can be full of excuses. Not everyone is perfect for Young Living at the time you talk to them. But sometimes it’s US. Why would we unknowingly sabotage our success when our business starts to move and shake? Humans are peculiar creatures! This Monday we’re going to talk about SELF SABOTAGE with “Zero Limits” coach Jesse Brisendine. Jesse has worked with thousands of people identify and break through blocks that hold them back from personal and professional success. The #1 reason people self-sabotage their success and the best way to stop it from happening. How to identify our own self-sabotaging behavior when we aren’t aware of it. Are procrastination and hesitation forms of self-sabotage? How to keep from talking yourself out of something. Ex: You commit to an event and as it gets closer you find 100 reasons to talk yourself out of going. Helping your team identify their own self-sabotaging behavior in a way that keeps them open and coachable. Disclaimer: All posts, articles, links or testimonials on this site are from our “Independent Young Living Wholesale Members” who receive commission on the sale of company products. They are individual experiences, reflecting the real life experiences of those who used our products. However individual results may vary. We do not claim, nor should the reader assume, that any individual experiences recounted are typical or representative of what any other consumer might experience. TESTIMONIALS ARE NOT NECESSARILY REPRESENTATIVE OF WHAT ANYONE ELSE USING OUR PRODUCTS MAY EXPERIENCE. Young Living is not responsible for the opinions or comments posted on this website, and do not share the opinions, views or commentary of postings on this website. All opinions expressed are strictly the views of the poster or reviewer. These statements have not been evaluated by the Food and Drug Administration. This product is not intended to diagnose treat, cure or prevent any disease. Get essential oil news, tips and promotions!